April 3, 2015 by Beeraj Patel, Esq. 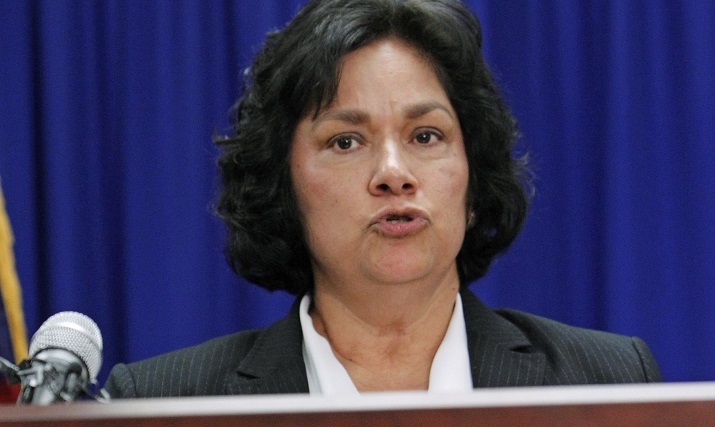 The Director of Immigration and Customs Enforcement (ICE), Sarah R. Saldana announced that the custody determinations of detainees with criminal convictions will receive greater scrutiny with regard to release procedures and oversight.“Like Secretary Johnson, I am determined to do what we can to improve and reform our immigration system within the confines of existing law,” said Saldana. She also added that the announcement was indicative of that approach, and that it will gain ICE greater confidence in the eyes of the general public, while also creating a safer society. Those detainees with criminal records who are put into the custody of ICE are gauged for potential threats that may threaten the safety of America, which is the primary focus of the Department of Homeland Security (DHS). National safety threats and public safety issues form the basis of ICE’s detention and removal resources, since that falls in line with DHS’s tireless efforts to keep the United States safe through enforcement policies for civil immigration. Any such decision will involve those detainees within certain categories of criminal convictions, such as those with two or more felony convictions on their record or with a singled aggravated felony. Only the Field Office Director, the Deputy Field Office Director or the Assistant Field Office Director will have the authority to approve discretionary releases, which will allow for enhanced supervision. The detention capacity of a facility should not be the lone determining factor when it comes to releasing someone whose criminal record makes him a potential threat to the general public. That’s because ICE’s detention system spans the country, and can strategically maneuver the available resources to make sure enough detention space exists for adult detainees. This will provide the sufficient amount of space available in order to make sure that possible threats to public safety are held until being removed. Reviewing any discretionary release decision involving those people convicted of violent crimes will be the province of a panel of ICE senior managers that will meet monthly and report to the leadership of ICE. That help discover any inconsistencies that may surface when it comes to agency release determinations, and also assures that approval requirements by supervisors will be in compliance. Those detainees who are released from custody will see supervision that’s been enhanced through steps taken by ICE. These take the form of something like the Alternatives to Detention Program that was created by ICE, or greater telephone or in-person reporting. The last policy and procedural change will focus on greater communication with law enforcement authorities in the state and jurisdiction when those detainees with criminal convictions have been released. This will take the form of providing these groups with all the necessary information that relates to the detainee or group of detainees in question. In order to ensure as much of a checks and balances procedure is in place for those detainees in removal proceedings, many of the ICE custody decisions are examined by immigration judges. They could conceivably set a specific bond amount for the detainee that will result in ICE releasing them from custody. When it comes to the less serious offenders, a bond that’s set by law enforcement officers within ICE can either be posted, or the individual can be tabbed as a discretionary release. The greater risk to either national security or the general public are those convicted detainees that ICE has determined require a greater focus of resources. This can be related to either detainment or removal, but by making decisions to set bond or deciding on a discretionary release, it allows for a greater focus of energies on the more pertinent issue of protection against potential dangers.